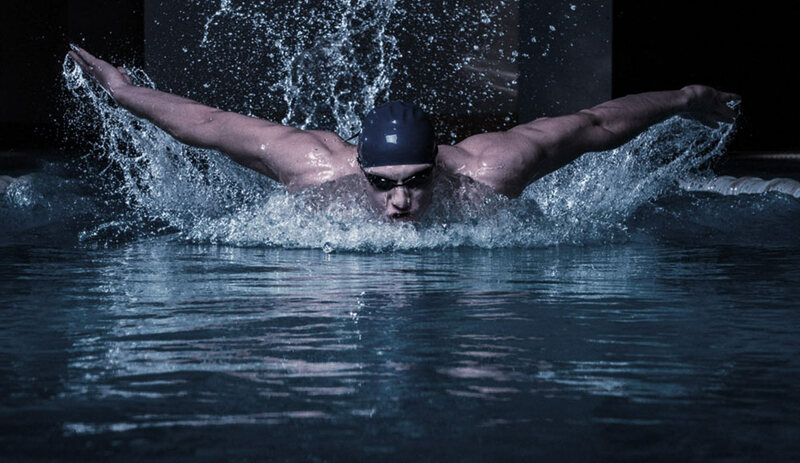 Chargers - Triathlon Battery Solutions, Inc.
Optimal charging is critical to the performance of industrial batteries. The TriCOM range of Chargers, which we exclusively distribute, guarantee you exactly that. The most technologically advanced chargers for the best results. For this purpose the chargers operate with highly integrated circuit technology with timed power semiconductors. User-friendly, compact and robust housings ensure trouble-free operation and facilitate easy operation. The charging circuitry, which is controlled by a microprocessor, also monitors the charge process and ensures an optimally charged battery. - A pioneering multi-resonance converter technology "SR-Switching" for charging devices that is on-of-a- kind in the world. - Significantly reduced standby power consumption. - Optimal TriCOM FUTUR charge profile with IONIC Mixing. Chargers will continue to charge with reduced output even after the removal of individual modules. of the power semiconductors using heat sinks to keep dust and grime to a minimum. Programming of further battery types upon request. SR-Switching HF (High Frequenz) charging system - High system efficiency of up to 97 %. ECO Energy - Charging with the highest possible energy efficiency. Intelligent solution for wireless networking. Save resources using an easy-to-install battery monitor. Graphik Touch Display - Intuitive operation via a 4.3" multilingual touch screen with a real-time clock and time zone setting. Plug & Play - Fully automatic with dynamic adjustments based on the battery's age, temperature and state of charge. Service Messages - Accurate display of all maintenance needs ans faults. Total E-Control 4.0 - Wireless monitoring and management system permanently optimizes battery usage and the vehicle management system and thus saves resources. Quick Check - Quick and easy inspection of the charger using ConVision, USB interface and the touch screen display. Standard USB interface - For communication with data media: Update the firmware, read out the charge history, activate additional functions and control access to the charger settings. Ease of Service - Modular design of the charger with an innovative plug-in technology and a cabinet concept that includes access from the side. ConVision App - Concise programming and analysis system, stores the last 512 charge events in real time. Optimal analysis of your fleet, exact failure mode incident control. Provides ability to make battery/ charger decisions without additional effort. 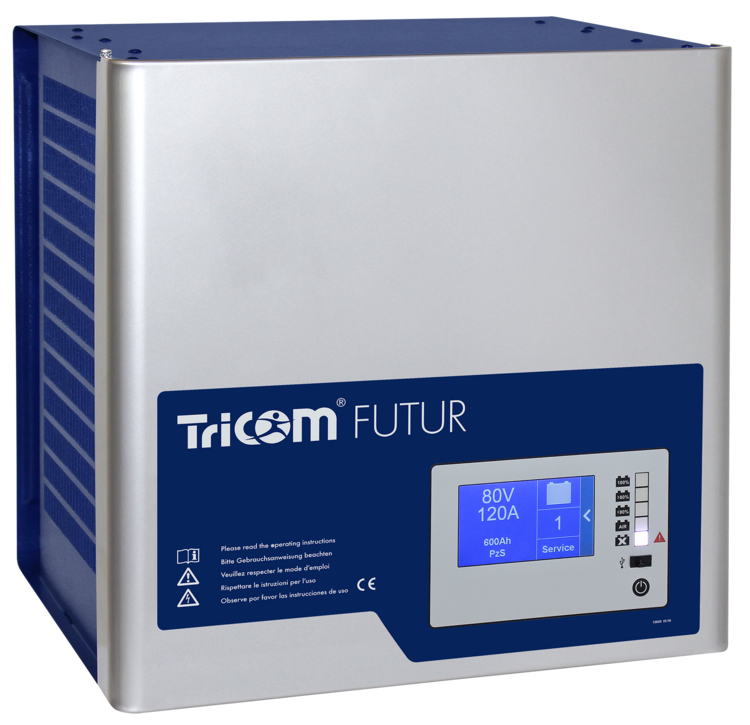 Electric Standards - TriCOM FUTUR chargers comply with all European standards for EMC and electrical safety. Options: Temperature sensor, Battery Management Counter, IONIC Mixing, Remote control - High flexibility, ideal for customization and makes economic sense.